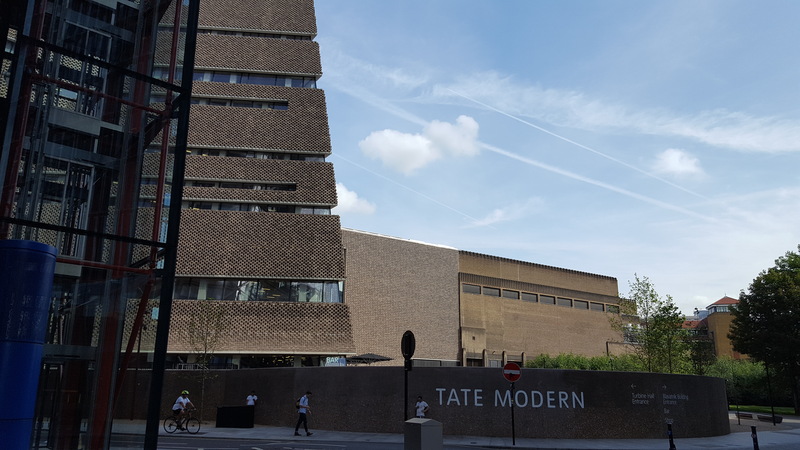 Last Minute on 25 August 2017 I visited Giacometti Exhibition at Tate Modern in London. The Exhibition is open until 12 September 2017. In 2014 I have seen great Giacometti Exhibition at Leopold Museum in Vienna, see my post about this here. The new part of building of Tate Modern is amazing too. My favorite place in this museum is the Rothko room. I visited it too. And view to London from terrace of Tate Modern is amazing. I visited Whitechapel Gallery first time. It’s very interesting and exciting to see contemporary art in the art deco building. Emma Hart | Mamma Mia! I visited Tate Britain again, and especially my two favorites here – Henry Moore and Joseph Mallord William Turner.